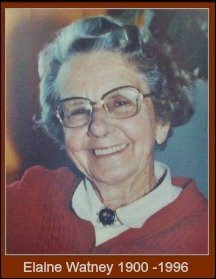 Indomitable Nellie Downes was born in Cape Town on 6 August 1908. Her father Herbert Major Downes was an Australian who came to South Africa to fight the Boer War. At Aberdeen he met Anna Joubert who was an only child. Because of this, he promised her parents that he would not take her away from them back to Australia and made his home in South Africa. They had 5 children before he went off to the 1st World War in 1914. He joined a British contingency but as an officer, when it was recognised that he was shell-shocked early on, he was sent to a hospital in Malta and saw out the rest of the war there. After the war was over, he was involved in the ‘clean-up’ operations. Sadly not long after he returned to his South African family, he committed suicide. He had kept journals all his life and Lilith his grand-daughter inherited them and has them to this day. A wealthy brother in Australia who died a short while after him, fortuitously left all his money to Nellie’s mother which saved the family from destitution and enabled all the children to get the educations they wanted. 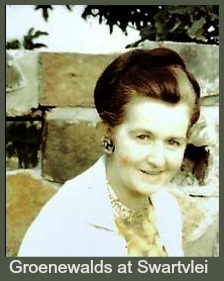 Nellie Downes aspired to a medical degree and qualified as an anaesthetist. 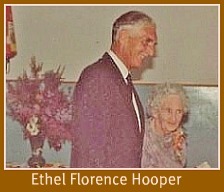 She met her first husband, Cyril Emslie whilst on a trip to America with the National Union of Students of South Africa. He was studying engineering at Natal University. 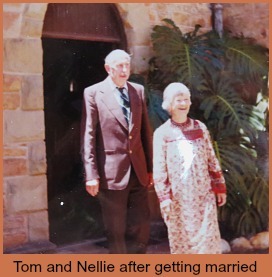 They got married in 1933 whilst Nellie was working at the department of Anatomy at UCT. By the time they had their twin girls Lilith and Joan in 1936, Nellie was working at the Peninsula Maternity Home in District 6 and so the girls were actually born in District 6. When Cyril was appointed Chief Mechanical Engineer for the SA Railways the whole family moved to Kimberley as the main workshops were there. Another child, Robin was born in 1940 before Cyril went off to join the 2nd World War. Nellie meanwhile was the resident Anaesthetist at the Kimberley hospital. 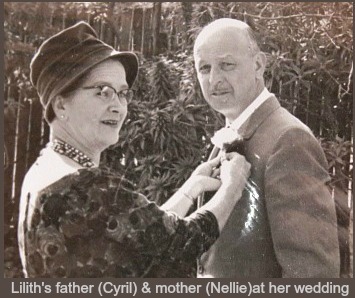 Not long after he returned in 1945 Cyril and Nellie got divorced. In 1946 Dr Nellie Downes married Ivon Euston-Brown. He brought to the marriage 2 children of his own, Michael and Peter. They were both slightly older than Nellie’s children, but they quickly gelled as a family. 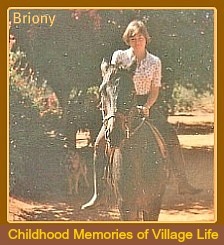 Ivon was a dentist and had a practice in Kimberley. 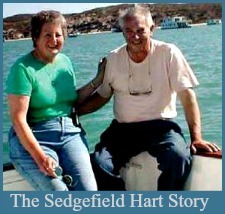 In the early 1950’s the family came to holiday in Sedgefield for the first time. 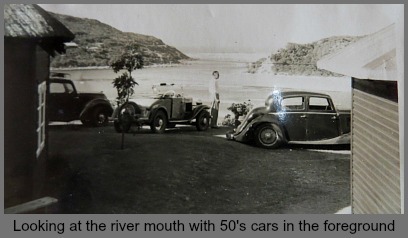 They liked it so much they bought 3 plots along Kingfisher Drive, nothing more than a sandy dirt track then. Today the road has changed so these plots lie mostly on Suikerbekkie Street down to the corner where the road meets Kingfisher Drive. They were known as ‘The Corner House”, the “The Corner Cottages” and the masonettes,“Corner Ways”. When the Euston-Browns came to live in Sedgefield, Ivon became Chairman of the Plot Holders Association. 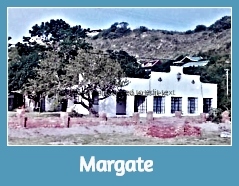 Towards the end of the 70’s these houses were gradually sold off. Corner Ways has since been demolished and Fish Eagle Close, a suite of apartments built in 2008 has replaced them. 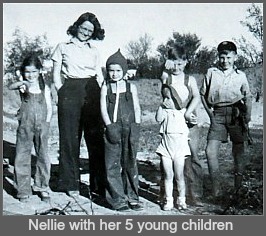 Nellie had bought other land as investment around the time they had bought their first stands. 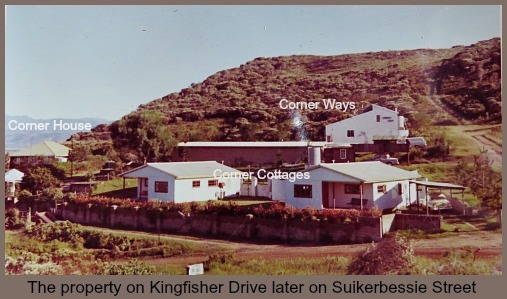 Kingfisher Corner and The Other Corner built in 1967 were 2 houses built on one stand on the corner of Kingfisher Drive and Kanarie Lane. 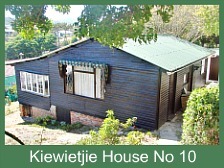 The twins, Lilith and Joan were to inherit these houses overlooking the Swartvlei Estuary with views of Sedgefield and of the sea all the way to Gerickes Point. A shrewd businesswoman, Dr Nellie Downes was part of a group of people who formed a company to buy shares in a parcel of land that became known as Meedingsride. As stands were sold off it proved to be a very lucrative investment. Dr Nellie Downes was a woman born before her time. She was a strong-minded forceful character and preferred men’s company to women’s. She traveled extensively overseas quite happily on her own on many occasions. She then took it into her head to learn to fly and in due course earned her pilot’s licence to fly small planes. 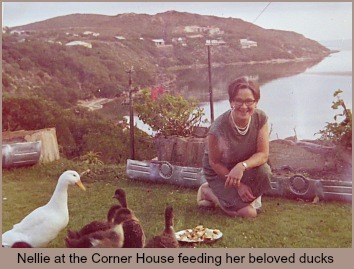 In 1953 as Lilith began her studies for a BSc at UCT, Dr Nellie Downes returned to her own career which she was passionate about and opened a practice as an Anaesthetist in George. She also serviced Mossel Bay and Knynsa. 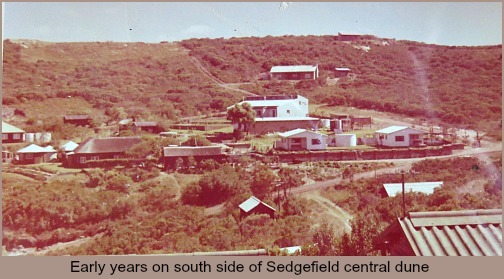 Full of life and very social she instigated the formation of Sedgefield Players in 1970, a small theatre group that presented a number of one-act plays that were a great success not only in Sedgefield but also George and Knysna. In 1968 Ivon had a stroke and Nellie nursed him until he died in 1969. It always helped Nellie to keep busy and she liked to be useful. She cultivated many interests and enjoyed civic affairs. 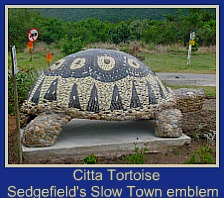 She was a keen gardener and started the Garden Club in Sedgefield planting shrubs in the "middle mannetjie" of the N2 and the Hibiscus outside the Town Hall. 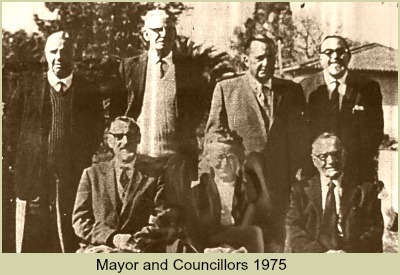 Contributing to many local community activities, when Sedgefield became a fully-fledged Town Council, Dr Nellie Downes was the first Mayor. Back: Councillors I.J. Van Der Merwe, I.N. 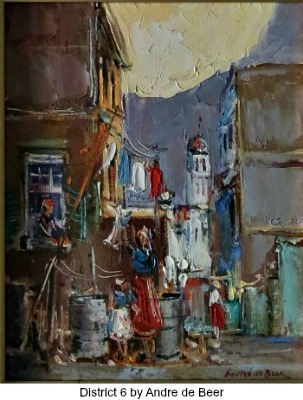 Van Rooyen, C. de J. 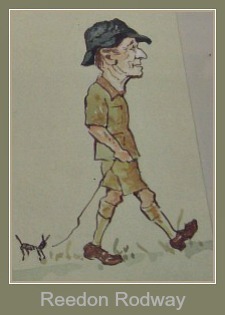 Van Zyl, J.W. Scorer. Front: B. Slabber (Town Clerk), N. Brown (Mayor), P.A. Bezuidenhout (Councillor). Nellie was an avid reader and had always loved to travel. Alone again, a change of scenery was her solace and before too long, she flew off to explore new destinations. She spent 3 months working on a Kibbutz before moving to Paris where she studied French at the Sorbonne for 3 years. In-between, she back-packed around Europe and made a memorable visit to Alaska where she slept in a tent because she was horrified by the price of hotels! On a visit to England she met Tom Wallcot Stephens whom she married in 1980. It turned out that he had been born in Laingsberg South Africa but had gone to the UK for schooling at the age of 6. When they returned to South Africa, she found work at Umtata Hospital where Tom was the resident chest surgeon. They worked together for some years at Umtata and in Swaziland before returning to Sedgefield where they built the house, Tom’s Corner. 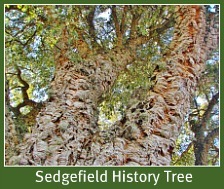 Once retired from medical practice they spent part of the year at “The Spinney” Tom’s English home, north of London and the summer months in Sedgefield. Together they back-packed to other places en route between these two homes. 1991 marked a sad event. 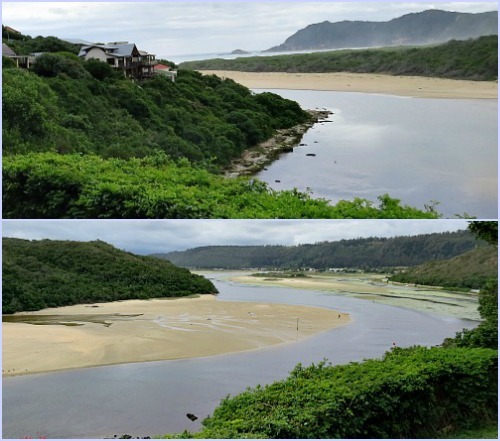 It was on the occasion of the river mouth being opened. 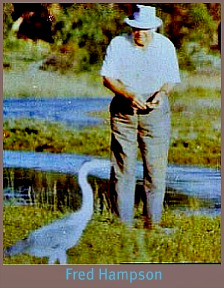 Nellie and Tom were walking next to the lagoon and Tom decided to get in and surge with the outward flow of water to the river mouth. 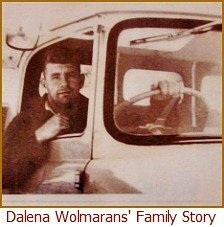 Nellie continued walking to the mouth, where she found people standing around her husband who had been pulled from the river and was lying on the ground. At 90 years of age, he had drowned. Then in her 80’s, Nellie had outlived 3 husbands and her zest for life was as yet, undiminished. Inactivity irritated her so her love for travelling took her off again and she went to “take a look at acupuncture” and see the Great Wall of China. Dr Nellie Downes became interested in chronic liver disease and found a niche in the MRC/UCT Liver Research Centre in Cape Town. In 1994 she attended a medical congress in Cairo, Egypt on behalf of the Research Centre and in her true adventurous style, she made time to experience a camel ride. On her return, only a few weeks later she contracted a lung infection that resulted in pneumonia and she passed away on 15 April 1994 just a few months short of her 86th birthday. Thanks to Lilith Seals for this story and photos. SA Medical Journal Vol 85 No. 3 March 1995. 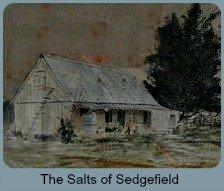 Notes on Sedgefield - Ensle Syphus.